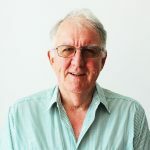 Professor Jock Findlay joined the Prince Henry’s Institute (now Hudson Institute of Medical Research) in 1979 and leads the Ovarian Biology Laboratory. 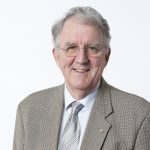 Jock has published over 280 research papers and received multiple awards and accolades for his work. A major theme of his research has been in understanding how fertility in women is related to the function of their ovaries, exploring how healthy eggs are formed, stored and released. 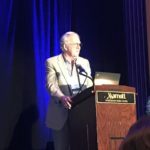 His research has led to a shift in understanding how hormones have local effects on the body including the production of eggs. Jock’s work has also contributed to the development of improved IVF procedures and understanding of fertility and infertility. More recently he has contributed to our understanding of chemoresistance and metastasis of ovarian cancer. 2008-2013 – Member and Deputy Chair, & Chair of Scientific Committee, Advisory Board of the Robinson Research Institute, Adelaide, S.A.
2003-2014 – Member & President (2010-2014), Board of the Victorian Breast Cancer Research Consortium Inc.
Nguyen QN, Zerafa N, Liew SH, Morgan FH, Strasser A, Scott CL, Findlay JK, Hickey M, Hutt KJ (2018) Loss of PUMA protects the ovarian reserve during DNA-damaging chemotherapy and preserves fertility. Cell Death Dis 23;9(6):618. Abubaker K, Latifi A, Luwor R, Nazaretian S, Zhu H, Quinn MA, Thompson EW, Findlay JK, Ahmed N (2013) Short-term single treatment of chemotherapy results in the enrichment of ovarian cancer stem cell-like cells leading to an increased tumor burden. Molecular Cancer, 12:24. doi: 10.1186/1476-4598-12-24. Hutt K, Kerr JB, Scott CL, Findlay JK, Strasser A (2013) How to best preserve oocytes in female cancer patients exposed to DNA damage inducing therapeutics. Cell Death Differentiation, 20:967-968. Bilandzic M, Chu S, Wang Y, Tan HL, Fuller PJ, Findlay JK, Stenvers KL (2013) Betaglycan alters NFkB-TGFβ2 crosstalk to reduce survival of human granulosa tumor cells. Molecular Endocrinology, 3:466-479. Ahmed N, Abubaker K Findlay JK (2014) Ovarian cancer stem cells: molecular concepts and relevance as therapeutic targets. Molecular Aspects of Medicine, 39:110-25. Sarraj MA, Escolona RM, Findlay JK, Stenvers KL (2013) Effects of TGFb2 on wildtype and Tgfbr3 knockout mouse fetal testis. Biology of Reproduction, 88: 1-13. Samardzija C, Quinn M, FIndlay JK Ahmed N (2013) Atributes of Oct4 in stem cell biology: perspectives on cancer stem cells of the ovary. Journal of Ovarian Research, 5: 37. Abubaker K, Luwor RB, Escalona R, McNally O, Quinn MA, Thompson EW, Findlay JK, Ahmed N (2014) Targeted disruption of the JAK2/STAT3 pathway in combination with systemic administration of paclitaxel inhibits the priming of ovarian cancer stem-like cells leading to a reduced tumor burden. Women’s Cancer, 4:1-12. Abubaker K, Luwor RB, Zhu H, McNally O, Quinn MA, Burns CJ, Thompson EW, Findlay JK, Ahmed N (2014) Inhibition of the JAK2/STAT3 pathway in ovarian cancer results in the loss of cancer stem cell-like characteristics and a reduced tumor burden. BMC Cancer,14, 317. Liew SH, Vaithiyanathan K, Cook M, Bouillet P, Scott CL, Kerr JB, Strasser A, Findlay JK, Hutt KJ (2014) Loss of the pro-apoptotic BH3-only protein BCL-2 Modifying Factor (BMF) prolongs the fertile lifespan in female mice. Biology of Reproduction, 90:77. Bilandzic M, Wang Y, Ahmed N, Luwor RB, Zhu HJ, Findlay JK, Stenvers KL (2014) Betaglycan blocks metastatic behaviors in human granulosa cell tumors by suppressing NFk B-mediated induction of MMP2. Cancer Lett, 354(1):107-114. Myers M, Morgan FH, Liew SH, Zerafa N, Gamage TU, Sarraj M, Cook M, Kapic I Sutherland A, Scott CL, Strasser A, Findlay JK, Kerr JB, Hutt KJ (2014) PUMA regulates germ cell loss and primordial follicle endowment in mice. Reproduction, 148:211-219. Liew SH, Vaithiyanathan K, Cook M, Bouillet P, Scott CL, Kerr JB, Strasser A Findlay JK, Hutt JK (2014) Loss of the proapoptotic BH3-only protein BCL-2 modifying factor prolongs the fertile life span in female mice. Biology of Reproduction, 90:1-9.